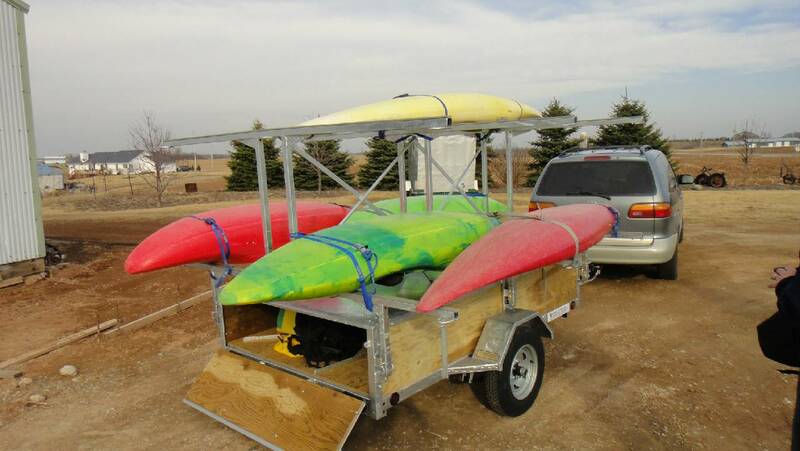 We built a custom kayak trailer for the Northeast Wisconsin Paddlers Club. 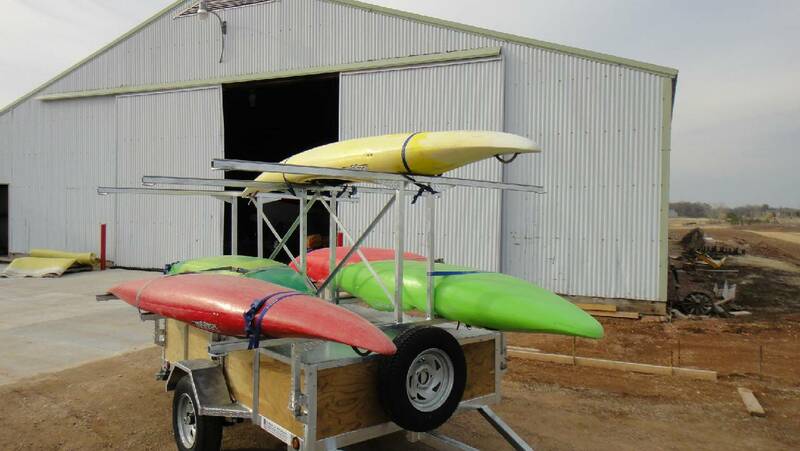 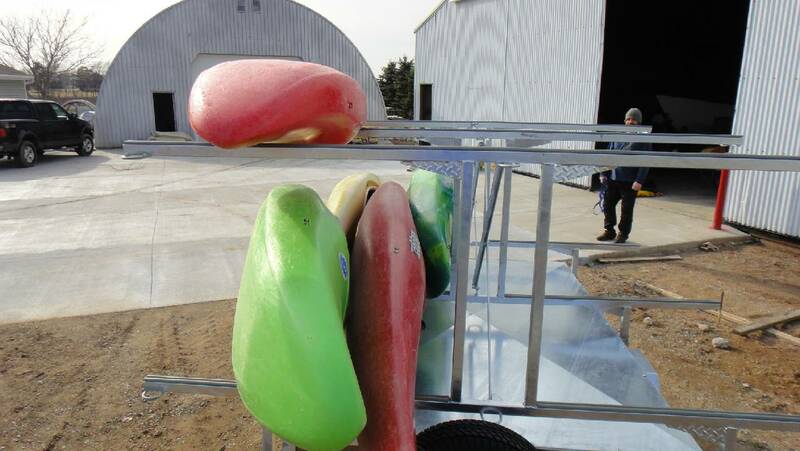 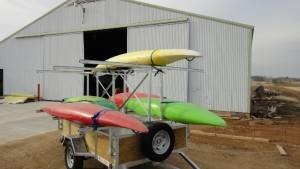 Below are the photos of their custom kayak trailer loaded with kayaks. 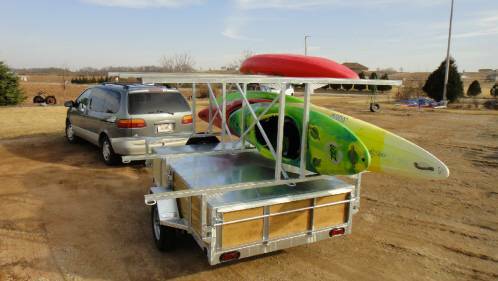 Details of the custom kayak trailer….a triple rack system with 102″ long racks, a permanent top that is galvanized steel and a lockable hinged tailgate so no one could steal their gear while they were our kayaking. We would like to thank Scott, Josh and all the members of the Northeast Wisconsin Paddlers Club for their business.